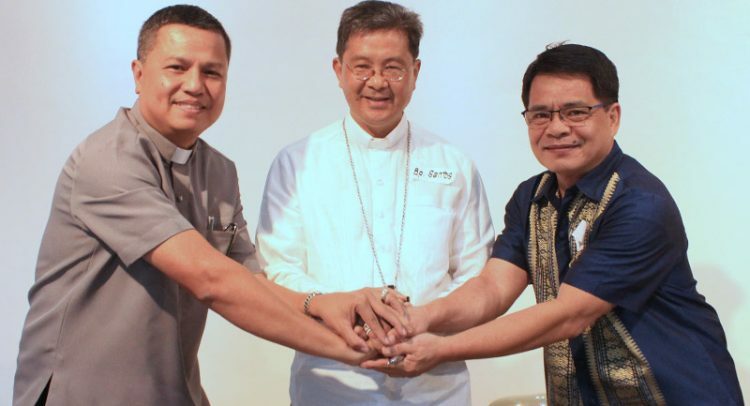 Quezon City, Philippines-The Catholic Bishops’ Conference of the Philippines (CBCP), the National Council of Churches in the Philippines (NCCP), and the Philippine Council of Evangelical Churches (PCEC) signed a Covenant of Partnership on Human Trafficking today, June 10, during the 3rd General Meeting of the Philippine Interfaith Movement Against Human Trafficking (PIMAHT). 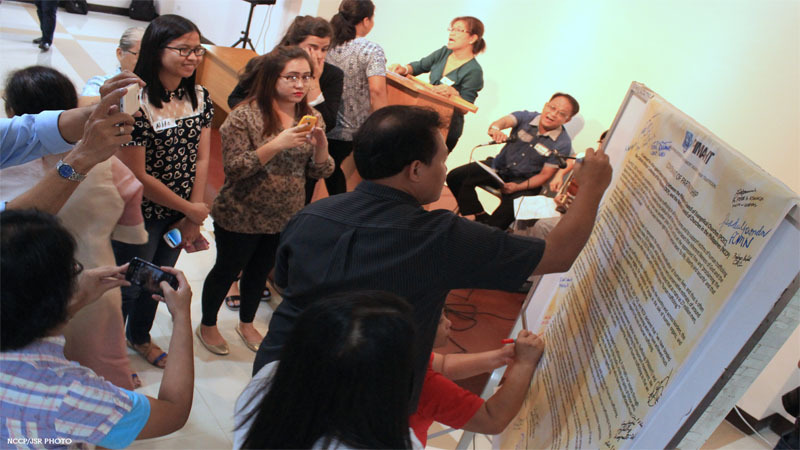 The Meeting was held at the PCEC Evangelical Center, Project 3, Quezon City. The Covenant is the concrete affirmation of the three federations’ desire to work together in adding their voice to end the evils of human trafficking. The first part of the Covenant says, ‘The PCEC, CBCP and NCCP are committed to stand against human trafficking in all its diverse forms and to support victims of human trafficking to reclaim their dignity and to seek justice. We are compelled by the biblical truth that every person bears the inherent likeness of God and the dignity that implies (Gen 1:27), the call of Jesus Christ to love one another (John 13:34), and to set the oppressed free and ‘proclaiming the acceptable year of the Lord’ (Luke 4:18-19). We also affirm the basic human right that every person bears ‘to life, liberty and security’ and that ‘no one shall be held in slavery or servitude’. The Covenant was signed by the The Most Rev. Ruperto C. Santos, D.D, Chairperson of the CBCP Episcopal Commission for the Pastoral Care of Migrants and Itinerant People, Rev. 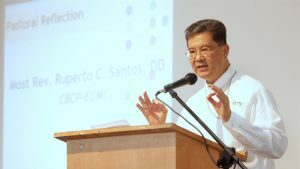 Rex R.B Reyes, Jr., General Secretary of the National Council of Churches in the Philippines, and Bp. Noel A. Pantoja, National Director of the Philippine Council of Evangelical Churches. In his Pastoral Reflection during the Opening Liturgy, Bp. Ruperto Santos reiterated that we are all created in the image of God. Migrants, in particular are human beings with dignity- to be loved, to be respected and be cared for. But with the phenomenon of migration and modern day slavery like human trafficking, that image has been tainted and dirtied. He pushed for decent job opportunities in our country so that people are not forced to seek employment abroad. The event ended with the symbolic signing of the same document by those present.